Translated by El Profe from El Blog de Fred L. Alvarez thank you to Juan S for the photos! famous when he turned his back on his former Tamaulipas associates and began to traffic drugs for Sinaloan drug traffickers. Born in Miguel Alemán, Tamaulipas in 1965, López Falcón has been linked with since the year 2000 with Marco Arturo Beltrán Leyva "El Barbas", operator of the Juárez Cartel in Nuevo León and direct partner of Ismael "El Mayo" Zambada and Ignacio Coronel, according to reports from the Attorney General's Office. Since then, he has been a target of the Army, the PGR, and Osiel Cárdenas Guillén, leader of the Gulf Cartel, but he managed to escape all the operatives and attacks until yesterday, when a couple of subjects executed him in Guadalajara, a city he visited to sell a horse. "El Yeyo," according to officials consulted, was not a violent trafficker nor did he have an arrest warrant, at least concerning investigations of the Specialized Unit against Organized Crime. 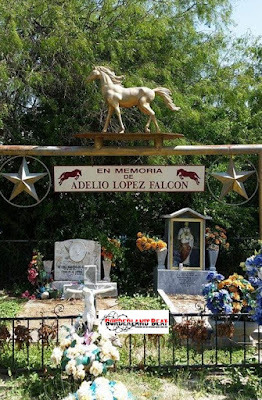 In 1999, according to an Army officer, Lopez Falcon attended to his bougainvillea shop in Miguel Aleman, spent some seasons in Texas and tried to maintain a low profile, although he was already fully identified by the Ministry of National Defense. Until then, he formed an alliance with the Gilberto García Mena "El June" family, Fidel Hinojosa "El Choco", Ricardo Garza Manríquez, director of Public Security of Miguel Alemán, and Zeferino Peña Cuéllar "Don Zefe", then director of Municipal Police and today sought by the authorities. Reports from the PGR and the Army agree that "El Yeyo" began to have irreconcilable differences with "El June" at the moment in which he sought alliances with traffickers from some municipalities of the Tamaulipas border that were already working with Sinaloa capos. One of them was Rolando López Salinas "El Rolis." This subject suffered an attack on September 22, 2000 in Miguel Aleman, from which his driver Héctor Arias was injured. This aggression was attributed to "El June." Just a few days later, on September 27, a group of six gunmen were captured in the middle of a shooting in Ciudad Camargo, thanks to an "anonymous" report received by the Ministerial Police. The surprise was that the gunmen were from Culiacán and Guamúchil, and that they admitted to being hired by "El Rolis." Another ally of "El Yeyo" was Dionisio Román García "El Chacho", a former officer of the Tamaulipas Police that the authorities have linked to the Carrillo Fuentes Cartel. "El Chacho," who controlled drug trafficking in Nuevo Laredo, was "picked up" by an armed commando on May 13, 2002 at his home in Monterrey and his body appeared in the Tamaulipas town of Nuevo Progreso. López Falcón jumped into the national press on May 13, 2001 when he managed to escape unharmed from an attack at the Expo de Monterrey, in a palenque where Vicente Fernández sang. It was said then that the attack was ordered by "El June", because his rival gave information to capture him. That version was dismissed yesterday by an official, who said that the attack was actually the work of a group of assassins known as "Los Zetas," in the service of Osiel Cárdenas, because "El Yeyo" was the strongest rival in the area, backed by the Juarez Cartel. All the members of "El Yeyo", and himself, were attacked by the Osiel Cárdenas group, but also all of his assailants - and even the agents and soldiers who investigated him - fell before he did, either executed or imprisoned. "El June" ended up in La Palma. 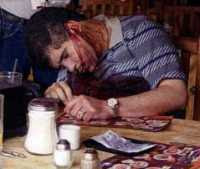 The assassin who led the attack in Monterrey, Arturo Guzmán Decena "El Z-1", died in a shooting on November 21, 2002; Héctor Robles Duarte "El Cuñado", another of the gunmen who tried to kill him, ended up in the Reclusorio Norte. Mario Roldán Quirino, the FEADS official who had a line of investigation against "El Yeyo", was executed on February 21, 2002. Even General Ricardo Martínez Perea and two of his officers, who pursued López Falcón, were sentenced to 15 years in prison. One of these officers, Lieutenant of Cavalry Javier Antonio Quevedo Guerrero, told the Military Prosecutor's Office that "El Yeyo" threatened him with death "because he had messed up too many shipments." One of the last occasions in which he was seen publicly was on June 22, 2000, at the inauguration of the Mission Grill Restaurant, near Monterrey. Officials consulted said that the presence of "El Yeyo" was due to the fact that he was María Eugenia Garza Díaz's boyfriend, the daughter of the owners of the restaurant. The last photo of López Falcón was also taken in a restaurant, yesterday in Guadalajara. account adjustments among those who have tried to become the successors of Juan García Abrego in what was once called the Gulf cartel. El Yeyo was murdered in a restaurant in Guadalajara on Tuesday and it was quickly speculated that his death had been ordered by the people of Osiel Cárdenas. 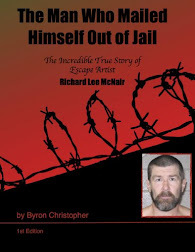 It is possible, especially taking into account the violence that the now-guest of the La Palma penitentiary has always been the cause of, and how he has rid friends and enemies of drug trafficking in Tamaulipas and Nuevo Leon. After the fall of Juan García Abrego, different groups grew up in the area and two of them became the most important: Salvador Chava Gómez and Osiel Cárdenas, with the center of their operations in Matamoros. Other minor groups had strong influence in Nuevo Laredo (such as Los Texas or Los Chachos) and in Reynosa. But the challenge for these organizations was to define who would retain control of the Gulf, as Juan García Abrego had once been. Arrested and extradited to the United States, who occupied a good part of the Gulf area was the Juarez cartel, mainly relying on the group that controlled Cancún and, with him, the Yucatan Peninsula, a group that included the former governor Mario Villanueva. But almost at the same time that Villanueva had to take the flight that would end with his arrest, in Mexico City, the two main operators of what was left of the Gulf cartel, Chava Gómez and Osiel Cárdenas, managed to escape, after bribing their guards from a safe house where they were detained in Mexico City. They returned to Tamaulipas and the differences between both were deepened (some sources say that the confrontation was for the love of a lady, actually because Osiel thought about realigning with the people of Juarez who had more and more weight in the Gulf area and in the state itself) and, finally, Chava Gómez appeared murdered in Matamoros inside his truck: no one would discuss the presence of Cárdenas in the area, much less because the new boss began a long series of adjustments of accounts that earned him the nickname "mata amigos." As part of these adjustments of accounts, the division between Eudalio López Falcón and Gilberto García Mena, nicknamed El June, occurred. Both came from the main drug gateway to the United States on the border of Tamulipas and Texas, the municipality of Miguel Aleman. The control of that area deepened the division between the two. El Yeyo was then concentrated in Monterrey and began to grow an organization that, during his administration, Fernando Canales Clariond always wanted to ignore: the Monterrey cartel. The arrest of El June would then come in a cinematic operative in the town of Guardados de Abajo: In April 2001 and a few days later on May 13, at four in the morning and immediately following Vicente Fernández' performance, a commando tried to assassinate Yeyo, whom Osiel Cárdenas accused of having betrayed El June. With everything, and although it was public that the objective of the attack was El Yeyo, nothing happened. The Monterrey authorities kept insisting that the Monterrey cartel simply did not exist. Maybe that was due to the magnificent relationships that El Yeyo had consolidated in Monterrey. An example was published by reporter Diego Osorno on December 2 in Milenio. There was a full-page commercial supplement that circulated in Monterrey on July 16, 2000, where the inauguration of the Misión Grill restaurant was held, located at kilometer 257.7 on the road that connects Monterrey with the municipality of Santiago. The premises, owned by the Garza Díaz family, was inaugurated by the governor of the state Fernando Canales Clariond (current secretary of Economy) and his wife Angela Stelzer and the mayor of Santiago, Eduardo García Garza. The location was blessed by the priest Alejandro Leal. The commercial supplement giving an account of the inauguration displays nine large photos, in several of which appear, always in the foreground and among the main guests -who is identified in the text- is the businessman Eudelio López Falcón, whom a few months later the PGR would identify as El Yeyo Lopez, one of the main drug traffickers of the region and head of the Monterrey cartel, the same one the local authorities have not accepted existence of: strange that they did not know of Yeyo's existence as he appears in the front row next to the governor, his wife, the owners of the restaurant, the municipal president, and the priest who blessed the building. Now, in a restaurant less elegant than that and far from Monterrey, El Yeyo was killed by two hit men with two shots to the head. Quickly it was said that Osiel Cárdenas had finally exacted his revenge. Maybe, but something simpler should not be ruled out: fallen Osiel, detained his principal lieutenants, everything indicates that the former partners and adversaries of the Tamaulipas groups, want to take control of drug trafficking in the region and finish annihilating those who could resurface in the area. For some time, Osiel Cárdenas worked in association with the Juarez cartel, but later broke up with them and one of his main men, Arturo Hernández González, nicknamed El Chaqui (recently arrested) and who managed the groups of assassins of that organization, offered up to two million dollars for the head of Osiel Cárdenas. At the same time, López Falcón, who had partnered with some groups in Juárez to operate in Monterrey, had to leave that city and settle in Guadalajara. Everything indicates that perhaps it was a simple settling of accounts, but it is much more likely that he was eliminated as part of the restructuring of drug trafficking throughout the northern border after the blows received in recent months by most of the cartels. The truth is that Yeyo was no longer useful, that his contacts in Monterrey are now in other hands, that Osiel Cárdenas and his group are also detained, and that only two organizations have the possibility of taking advantage of that region for their business: the cartel itself of Juarez, which has been operating in the area for years or the Valencia cartel, which from Michoacan and Manzanillo, receive drugs in the Pacific, take it to the center of the country, pass through Mexico City and Guadalajara and are trying to penetrate more and more in the northeast. And nobody in that long route that crosses several states of the country seems to want to recognize it. 14:05 The body of the alleged drug trafficker Edelio López Falco, alias "El Yeyo" murdered in Guadalajara, has not been claimed by anyone. According to reports from Radio Network Monitor, federal and state authorities are focused on identifying the killers who killed the drug lord and how long they had to carry out operations in the capital of Jalisco. Edelio, "El Yeyo" López Falcón, one of the most wanted drug traffickers in northern Mexico, was allegedly shot dead when he was eating breakfast in a restaurant in Guadalajara, in the most recent of the 190 drug cartel executions in the last four months. "El Yeyo" Lopez, who was also known as "The Lord of the Horses", among many other aliases, received three .45 caliber shots in the head when he was about to pay his bill. Next to him was a battle partner, Oscar "Coque" Preciado, who was unharmed. The Investigative Police of Guadalajara are looking for clues of who the executors are, who escaped at full speed in a white van, according to witnesses who did not specify the subjects' appearances. The authorities assumed "El Yeyo's" days were numbered. "He was dead in life, sooner or later they were going to hunt him and the same thing is going to happen to his cousin Rolando López Salinas," said a commander of the Ministerial Police. "The Lord of the Horses" had escaped other attacks on his life, after trying to distance himself from the Gulf Cartel to which he belonged, to conduct himself independently in the drug trafficking business. At the time of his death the supposed promoter of shows and horse races had in his possession: a Rolex watch, a gold ring, a chain four cell phones, a Nextel, 43 bills of 20 dollars each and 31 bills of 200 pesos between his clothes, as well as a driver's license from the state of Texas. The capo led one of the groups that sought to seize the territory that controls the Gulf cartel, so he was considered one of the main enemies of Osiel Cárdenas Guillén and his organization, according to the Specialized Unit against Organized Crime (UEDO). According to a recent report by the newspaper Reforma, in the first four months of the year there have been at least 190 executions with the characteristics of organized crime, in at least 14 localities in the country. If the identity of El Yeyo were confirmed, a strong blow would be dealt to the group that had sufficient capacity to challenge for control in the area of Tamaulipas and Nuevo León, following the arrest of Osiel Cárdenas, who it is presumed that in May 2001 sent the group of Los Zetas hitmen to execute López Falcón in a palenque in Nuevo León, in an attack that he came out of unharmed. Guadalajara, Jal. In a restaurant in this city yesterday an entrepreneur was executed, who was later identified as a drug trafficker Edelio López Falcón, alias El Yeyo. The capo led one of the groups that sought to seize the territory that controls the Gulf cartel, so he was considered one of the main enemies of Osiel Cárdenas Guillén and his organization, according to the Specialized Unit against Organized Crime (UEDO). Authorities of the State Attorney's Office informed that the victim could be El Yeyo Falcón and the Attorney General of the Republic (PGR) did not rule out that it could be him, so last night a group of agents traveled to Guadalajara to confirm their identity. Sources of the federal dependency explained that in the case of the capo the PGR will attract the investigation of the homicide. The execution was recorded yesterday afternoon at Café Madoka, located at the corner of Golfo de Cortés and Tarascos streets, in the Fraccionamiento Monraz, in this city. According to witness statements, two white-clad individuals entered the room and pretended they were going to the bathroom. When passing by the table where the Monterrey businessman was accompanied by his friend Óscar Coque Preciado, one of the strangers took out a gun and shot him in the back. Then the assassins fled in a car of a recent model. The deputy director of the Police of Guadalajara, Javier Martínez Espinosa, explained that the victim had at first sight three bullet wounds in the neck and confirmed that two men who posed as guests were the aggressors. At the time of his death the supposed promoter of shows and horse races had in his possession: a Rolex watch, a gold ring, a chain, four cell phones, a Nextel, 43 bills of 20 dollars each and 31 bills of 200 pesos between his clothes, as well as a driver's license from the state of Texas. If the identity of El Yeyo were confirmed, a strong blow would be dealt to the group that had sufficient capacity to challenge for control in the area of Tamaulipas and Nuevo León, following the arrest of Osiel Cárdenas, who it is presumed that in May 2001 sent the group of Los Zetas hitmen to execute López Falcón in a palenque in Nuevo León, in an attack that he came out of unharmed. Meanwhile, Cárdenas Guillén was notified yesterday of a new formal prison sentence against him for violations of the Federal Law against Organized Crime. The case is filed in the Fifth District Court of Mexico City, although by "exorto", the District of the State of Mexico resolved his situation. 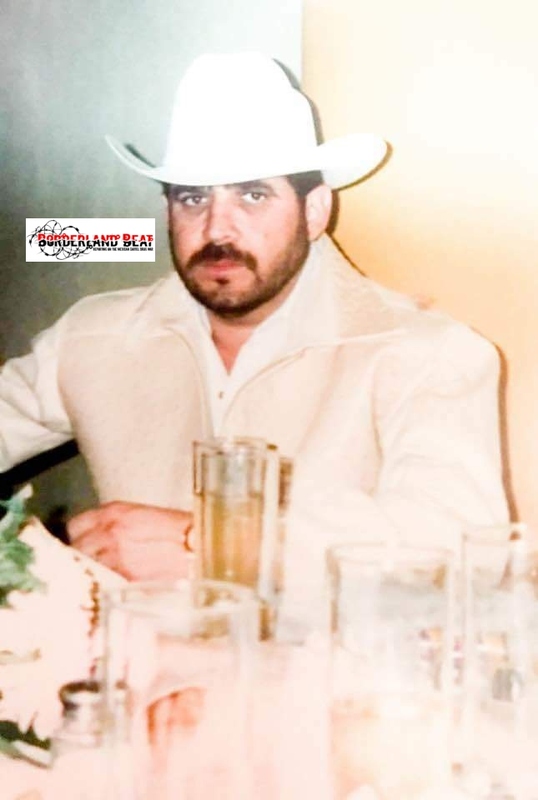 From 2000, the Gulf Cartel decided to kill Edelio "El Yeyo" López because he killed a police chief who was a close friend of Osiel Cárdenas and "El June." His execution has nothing to do with so-called "adjustments". "El Yeyo" made the big mistake of going without bodyguards to the restaurant where he was killed. He also did not have protection outside. He did not even realize they were chasing him. Edelio "El Yeyo" López is not as they painted him after he was executed in the City of Guadalajara. * His murder was not "by rearrangement" of cartels. It is simply a revenge. * He never fought to be a leader in the Gulf Cartel. * Before being killed, they did not pursue him. They did not even know he was in Guadalajara. * On a scale of 1 to 10, he could be at an 8 or 9 in drug trafficking in Tamaulipas. * He was not executed for denouncing Gilberto García "El June." * Since November 2000 he was sentenced to death by the then capo Gilberto García "El June". The reason: He ordered four of his gunmen to assassinate Pablo Gaytán Mejía, Group Leader of the Rural Police in Miguel Aleman. He was a close friend of the Gulf Cartel leader. And precisely because of that he did not let him "work". The revenge was consummated by gunmen still under the command of Osiel, although he is in prison. * "El Yeyo" was not executed for denouncing Gilberto García "El June". On the contrary, this man was about to kill him in November 2000. "El Yeyo" was able to escape after they executed the police chief but not his gunmen. The followers of "El June" arrived and quickly ended up with Edelio's team. They were showered with AK-47 machine guns, "cuernos de chivo". * Two other times he saved his own life: One when some false soldiers broke down the wall to enter a residence in Monterrey to try and kill him. They assumed he was there. The other, in a palenque also in that city. Once again, false soldiers entered and shot him without hitting him. * Zeferino Cuéllar "Don Zefe" was not the right arm of "El Yeyo". On the contrary, Edelio was serving him so that this man was the successor of Osiel Cárdenas Guillén. The beginning of the rivalry with the Gulf Capo began in November 2000, when he ordered four of his assassins to execute in Miguel Aleman the group leader of the Rural Police Pablo Gaytán Mejía, designated as one of the men closest to the capo Gilberto García Mena, "El June". Shortly before midnight on November 26 of that year, the Sonoran Adam Heriberto Ovalle Lopez, "El Compa Adam", principal lieutenant of "El Yeyo"; the Colombian Marlon Antonio Cruz Calderón, "El Tony", and two hit men never identified, burst into the house located on Tuxtla Gutiérrez Street, without a number, which was used as a dormitory and office by the rural policemen. They looked for Gaytán Mejía to demand who was harassing López Falcón's narcobanda. 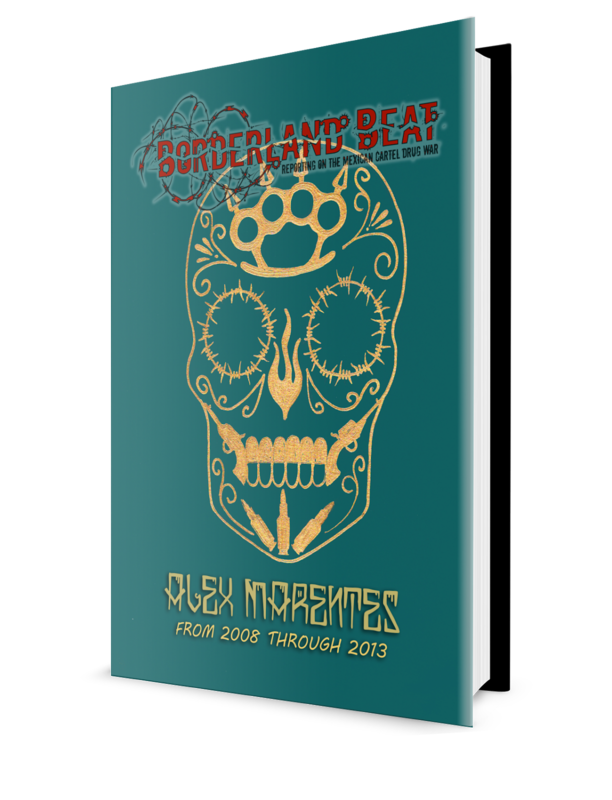 Armed with machine guns, "cuernos de chivo" they subjected several agents but the group leader locked himself in the bathroom from where he asked for radio assistance to the people of "El June." However, before the aid arrived he was forced to leave when the assassins threatened to assassinate their agents one by one. Upon leaving, he was executed while agent José Luis Rodríguez García was seriously injured when he wanted to intervene in defense of his boss. When the executioners fled from the place, they were subdued by the gunmen of "El June", who after torturing them showered them with bullets, being handcuffed with their hands behind their backs. Since then, "El Yeyo" fled the city of Miguel Aleman, after he learned that the Gulf Cartel had sentenced him to death, and allegedly took refuge in Monterrey. The hunt against him intensified after March 31, 2001, when in a police-military macro operation, García Mena and 20 of his men were arrested at his residence in the town "Guardados de Abajo." The Gulf Cartel without facts blamed López Falcón for betraying "El June" and accelerated their search. Last year, a commando of men disguised as soldiers broke into a palenque in Monterrey, where the narco witnessed a show by Vicente Fernández, but managed to escape because he was allegedly alerted a few seconds earlier. He also managed to survive an attempted execution when fake soldiers who even used a Hummer truck to violently break into one of his residences in Monterrey. "He was dead in life, sooner or later they were going to hunt him, and the same thing is going to happen to his cousin 'El Rolis' Rolando López Salinas," said a commander of the Ministerial Police. Considered one of the richest men of Miguel Aleman, owner of several properties, including the former hacienda "Las Bugambilias", where they used to have the great anniversary parties of the town, "El Yeyo" and his cousin Rolando "El Rolis" López Salinas started digging their own graves when they became enemies with Gilberto García Mena, "El June". Despite the estrangement between the three capos, they each remained operating their own side of Miguel Aleman, Camargo, and Diaz Ordaz, but the enmity became a crisis when "El Yeyo" ordered his assassins to execute the chief of the Rural Police group. For his part, "El Rolis", who managed to survive an attack at his home in Miguel Alemán in which he was seriously injured, has a double death sentence: on the one hand the Colombian mafia ordered his execution for the theft of a cargo of cocaine, and the Gulf Cartel tried to execute him because of his relationship with "El Yeyo". Outside there were no other gunman to protect the exit. So confident was he that he did not realize that they were chasing him surely for days. He was not armed either. He was accompanied by Oscar Cocker Preciado and a pregnant lady, but the two of them were not touched by any bullets. This confirms that the revenge was exclusively against him. He only had a leather bag with three cell phones, credit, and business cards. The men who pretended to go to the bathroom to pass "El Yeyo" did so quietly and the victim did not even turn around. He was shot three times in the nape of the neck and back with a .45 caliber pistol, rarely used by mobsters. * The lawyer Leopoldo del Real Ibáñez, murdered on January 17, 1996 while at the Café Florian de Cintermex in Monterrey, also talking with a companion. * Fernando Garza Guzmán, then Chief of Police, was killed just like "El Yeyo": Two men pretended to go to the bathroom, passed behind and fired to kill him. The difference was that Edelio was sitting and resting his head on the table. Del Real Ibanez fell to the floor. * "The Lord of the Skies", Amado Carrillo Fuentes was at the "Bali-Hi" restaurant in Mexico City. The gunmen of the Arellano Félix headed by Fabián Martínez "El Tiburón" entered. They did not manage to kill him but it was a large shooting. * Pablo de Tavira was executed when he was in the restaurant of a university in the State of Mexico. * Two second-rate drug traffickers ended up executed in a Burger King restaurant in Mexico City. José Alberto Zamora Rodríguez and Humberto Javier Pereyra on February 6 of this year. * Francisco Javier Arellano Felix was about to be killed at the Discoteca Christine in Puerto Vallarta. He was captured by the group of Joaquín Guzmán Loera "El Chapo" Guzmán, but released almost immediately, clarifying that he was not his enemy. He brought it against Ramón and Benjamín. * The comedian Paco Stanley was executed after lunch at the restaurant "El Charco de las Ranas" in Mexico City. * Mr. Cuauhtémoc Herrera Suástegui was shot several times when leaving the Imperial Hotel restaurant in Mexico City. In that same act the lawyer María Raquenel Villanueva of the City of Monterrey was injured. * In Tijuana, Lorenio Fabela Montoya and Juan Diego Fabela were executed when they were in the restaurant "La Palapa" in 2000. Surely Edelio "El Yeyo" López thought: Imprisoned Manuel García "El June" and Osiel Cárdenas Guillén forgot the death sentence against him. But he forgot that these debts in the drug trade are not forgotten. "El Yeyo" made mistakes that made him look bad as a drug trafficker. He arrived alone at the restaurant "Madoka", and occupied a table with his back to the diners, not his usual back to the wall and facing the door. Nobody cared. 1965. This fool been around. You almost got the whole story right. you a shout out from Huffman Texas! Just wanted to say keep up the great work! Get caught slipping into complacency and letting danger circle around into your blindspot leads one to take a dirt nap. This guy had balls, Stuck between N. Laredo (Z) and Reynosa (Golfo) and fighting against both yeah I’m not sure what he was expecting.. Moral of the story is to avoid restaurants and/or be warry of men going to the bathroom...if you are in the narco world. Have to admit the irony of your sarcasm is right on. This was interesting. The one main difference I can picture through reading this is the professionalism with the way it was mostly always the target getting hit and not innocent people getting killed or harassed by narcos in the early 2000’s. Isn't that what they call crack in New York? yeyo= a edelio nickname. like ignacio=nacho. I thought it meant cocaine, altho I know a guy who uses that as his handle, real name Eduardo, but then again he is a drug dealer , jajajaja........and known to sell mota and coke. The cocaine name is spelled Yayo. lalo is short for eduardo. YAYO not YEYO is a less common for eduardo. Juan Pablo de Tavira was executed in the cafeteria of University of Pachuca, capital of Hidalgo State when Miguel angel osorio chong was a university porro, after the killing of de Tavira, osorio's career took flight and he became Governor of Hidalgo and interior secretary of EPN. 11:52 de Tavira was promised revenge by Rafael caro quintero when he was director of Almoloya and mistreated rafa, soon de Tavira was almost killed and out of work, went to Pachuca looking for a Job and he found it, I suspect osorio chong. Arturo Hernandez el Chaky lo levantaron en la comarca Lagunera. Tiene mas de 1 mes deaparecido. El yeyo was related to my family. Between el yeyo and another uncle of mine, they bought "labores" (family owned farms/fields) outside of Miguel Aleman. They used the land to make airplane strips. My other uncle was also killed at his home in Los Guerras..."El corrido del Sarape" by los Traileros was Yeyo's race horse. Eso esta aya por la presa azucar/marte gomez. Shout out to Starr County y toda el gente de esa frontera chica.